Whilst the classic lines of the GTE were retained, Middlebridge added new alloy wheels, redesigned rear light clusters and halogen headlamps. Paint finishes were offered which included pearlescence and dual tone colour schemes. 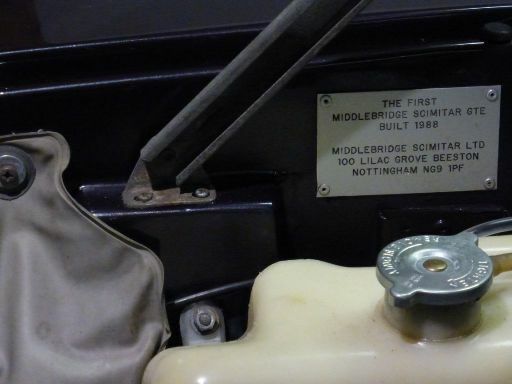 The interior of the car was improved with higher quality trim, Four head restraints and a quad speaker Alpine radio/cassette. The fascia's were also upgraded with glare free instruments, electric windows and heated door mirrors were also added. The car is fitted with a twenty gallon fuel tank which can give a range of up to 600 miles and the average touring consumption rate for the manual version is 35 mpg and 30 + mpg for the auto. The sale price for a new Middlebridge was £24,000.00 + extras and a total of 77 were built. 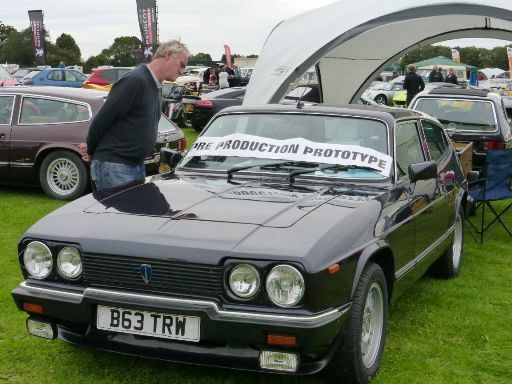 The pictures show the factory fitted plaque located under the bonnet of the Middlebridge Pre Production Prototype and the car still supporting the marque and the 'MESS' Middlebridge Enthusiasts Scimitar Set at Sywell 'Pistons & Props' Event 2017. 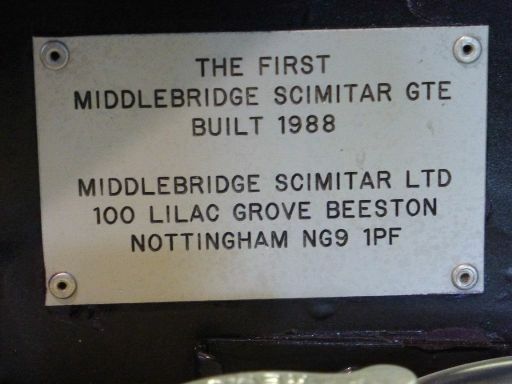 A short time after the Middlebridge Auction Pickfords moved into Lilacs Grove and stayed there until 1995 and in approx 1996 J.Tomlinson (Building and Mechanical Service Engineers) occupied the factory and are still operating from the site today. Once again, many thanks to Mark Wooller for the site history.